Aya Tanimura’s new video for Bea Miller’s “Yes Girl” has us unraveling at the seams. 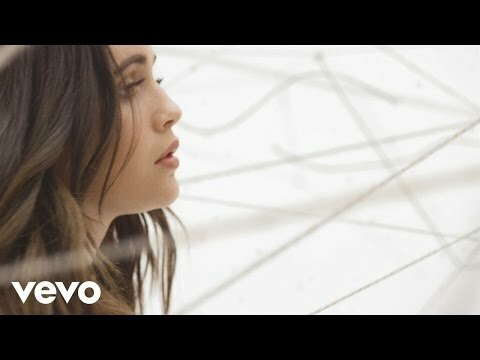 In a white box, trapped and alone, Bea Miller fights with herself through the lyrics of this gorgeous ballad. Directed by Black Dog’s Aya Tanimura, the video stars Bea metaphorically shedding the layers being pulled apart by other people’s opinions and demands. White hands protrude from the wall and gently unthread her oversized sweater until there is nothing left. Beautiful soft shots, emotional outbursts of frustration, all while the seams stretch until they cannot stretch any further- this video is simply captivating. “I felt like I had a lot of people pulling me in different directions, and trying to make me say and do and be things that I didn’t want to say and do and be. I really needed a reminder for me that it’s okay to stand up for yourself, that you have to do what’s best for you,” says Bea regarding ‘Yes Girl’, “The video is very non specific, and for me it can mean something different than it does for you”. Watch the video for “Yes Girl” above and check out Aya’s other work HERE.